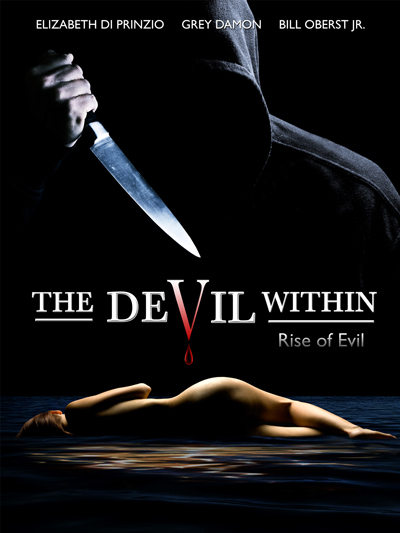 The Devil Within: Rise of Evil Debuts a Steamier Version on VOD this Month! 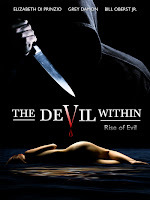 The Devil Within: Rise of Evil was originally titled the simpler The Devil Within. For the film's launch on video-on-demand, this film has been retitled, remastered and recut. The soundtrack includes a track from actress and songstress Elizabeth Di Prinzio. Artists Emii, Day Above Ground and The Sammus Theory also add a few musical selections. As well, the latest release has added more T & A to the film. The loves scenes between characters John (Grey Damon) and Serena (Di Prinzio) have been extended. A naked pool party scene has also been increased in a sexified fashion. Fans of horror can now see this new cut through Amazon's video-on demand service. As well, this title will likely release through Netflix and iTunes later this year. Have a look at more of the release material below. Release Date: October 12th (Video-on-demand, Amazon) and Q4, 2012 (Netflix, iTunes). Executive producers: Randy Aldridge, and Cindy Aldridge. 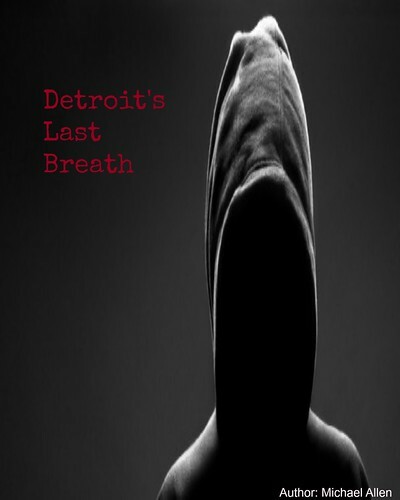 Cast: Bill Oberst Jr., Elizabeth Di Prinzio, Grey Damon, Ryn Harrison, Peyten Aldridge.